Fox has set 2018 premiere dates for the new comedy series LA to Vegas and the medical drama The Resident. The half-hour comedy LA to Vegas will premiere on Tuesday, January 2, 2108 at 9pm ET/PT. The Resident will debut on Sunday, January 21, 2018 at 10pm ET/PT before moving to its regular spot on Fox’s primetime lineup on January 22nd at 9pm ET/PT. LA to Vegas is executive produced by Will Ferrell, Adam McKay, Lon Zimmet, Chris Henchy, Owen Burke, Jeff Morton, Jonathan Fener, Josh Bycel, and director Steve Levitan. The cast includes Kim Matula (UnREAL), Ed Weeks (The Mindy Project), Nathan Lee Graham (The Comeback), Olivia Macklin (The Young Pope), Peter Stormare (The Big Lebowski) and Dylan McDermott (The Practice). Matt Czuchry (The Good Wife), Emily VanCamp (Revenge), Manish Dayal (Halt and Catch Fire), Moran Atias (24: Legacy), Merrin Dungey (Big Little Lies), Shaunette Renée Wilson (Billions), Melina Kanakaredes (CSI: NY), and Bruce Greenwood (The People v. O.J. Simpson: American Crime Story) star in The Resident. Todd Harthan, Amy Holden Jones, Rob Corn, Antoine Fuqua, David Boorstein, Oly Obst, and Phillip Noyce executive produce. In addition, Phillip Noyce directed the pilot. 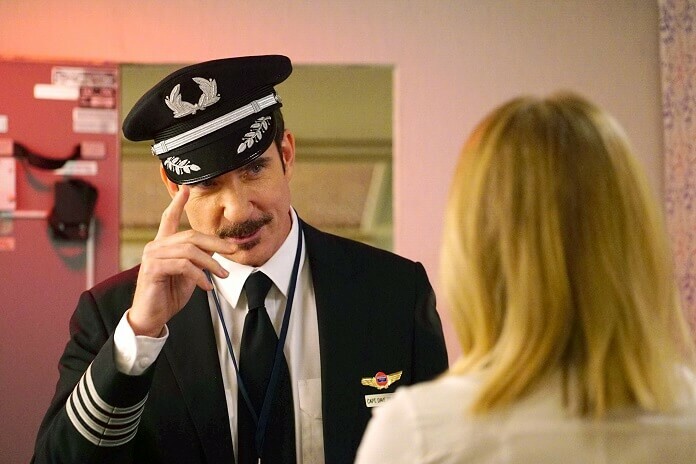 The LA to Vegas Plot: LA to Vegas is a workplace comedy about an airline crew and the eccentric passengers who, every weekend, take a no-frills roundtrip flight from Los Angeles to Las Vegas with one goal in mind – to come back a winner. The Resident Plot: The Resident is a powerful new medical drama focusing on the final years of a young doctor’s training that rips back the curtain to reveal the truth of what really happens, both good and bad, in hospitals across the country.